Despite the fact that so many of us shop online today, we are still skeptical regarding where we spend our money. This is something that has got even worse due to the abundance of cyber attacks and phishing scams hitting the news. Because of this, it is so important to create a website that is credible and trustworthy. You may know that your business is a genuine one, but you need to prove to potential customers that this is the case. Make it easy for anyone to contact you – There is nothing more frustrating for customers than being unable to contact a business. 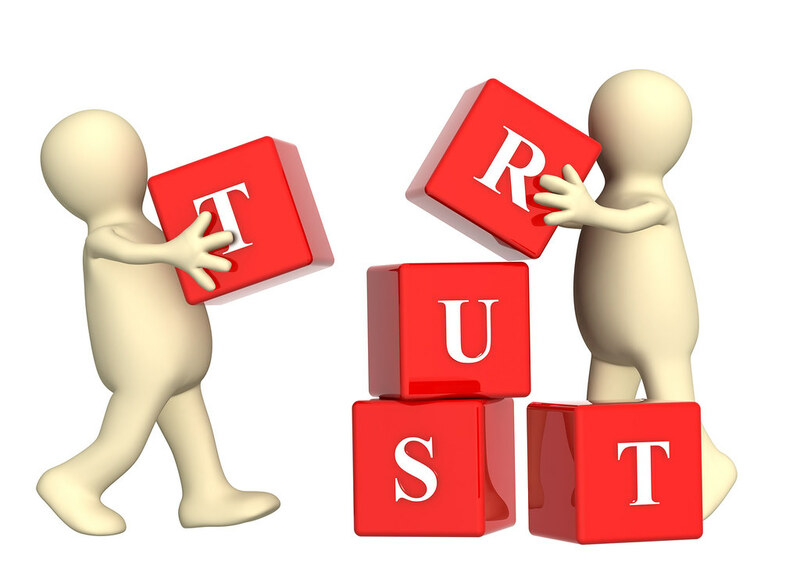 If you are a company to be trusted, why are you making it difficult for customers to get in touch? Make sure your email address and telephone number are visible on your website. Clearly state your opening hours and how long it takes for you to respond to emails – you should aim to reply to all emails within 24 hours. Choose a reliable hosting provider – Next, you need to make sure you choose a reliable hosting provider. If your website goes down, it can have a negative impact on your SEO ranking and lead to a loss of revenue. Not only this, but a poor hosting provider could lead to cybercriminals finding a way into your website, and nothing damages your reputation more than a security breach. Do extensive research online before choosing a provider, and make sure you spend plenty of time reading reviews on independent websites. Use secure badges – Another way to show that your website is safe is to display secure badges, for example, your SSL certificate symbol. There are plenty of other badges that you may have access to, and if you use a third-party provider, you could simply place a sidebar note, informing all users that your website is secure. Make sure your website is up-to-date – The overall health of your website will determine whether users view it as credible and trustworthy. Make sure that all of the information on your website is up-to-date, including details regarding products, contact information, and shipping. You should also ensure that your website boasts a fast load speed and is easy to use. Add a hint of personality to your site – Last but not least, branding is so important when it comes to building trust. Customers want to feel like they know your business and what you are about from the moment they visit your website. The only way to achieve this is by adding some personality to your site – make it different from the rest. Through providing exceptional content, you will be able to achieve a higher level of loyalty and trust. This is guaranteed to make your customers smile. For more tips on how to do exactly that, check out this blog post: https://tamarhela.com/2017/05/11/the-little-things-that-make-your-customers-smile/. If you follow the five tips that have been mentioned above, you will be able to give off a trustworthy and credible image via your website. This can lead to improved brand exposure and, ultimately, more sales.